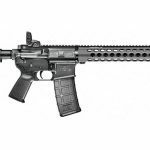 The M&P series of rifles from Smith & Wesson, designed with military and law enforcement in mind, may be the company's best yet! From barrier penetration to knockdown power, many shooters prefer to step up to the 7.62mm cartridge. Heavier bullets with more energy offer a shooter the ability to more reliably complete various missions. 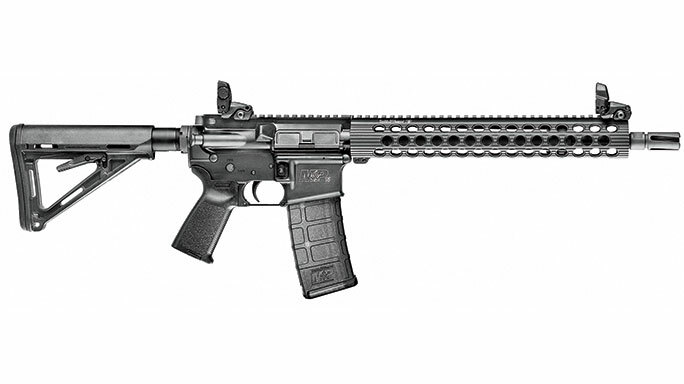 Smith & Wesson delivers the M&P10 with the features demanded by many users. The 18-inch barrel has a 1-in-10-inch twist and an enhanced flash suppressor. The rifle’s bolt catch, magazine release and safety selector are ambidextrous. These rifles come with low-profile gas blocks and a Picatinny rail on top of the receiver for the easy addition of any kind of optic you might require. 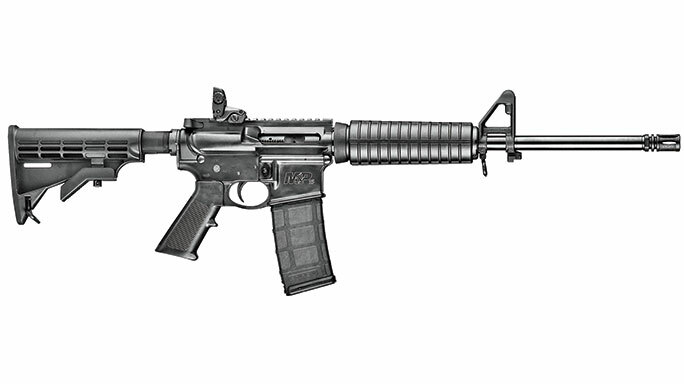 The base M&P15 is an excellent example of the modern version of America’s favorite gun. Equipped with a six-position buttstock, the rifle can be adjusted to shooters of various sizes, including those wearing body armor. Traditional aperture sights are easy to use and can quickly be mastered with only a small amount of training. The bore, gas key and bolt carrier are all chrome lined, while the receiver and barrel are hard coat anodized. 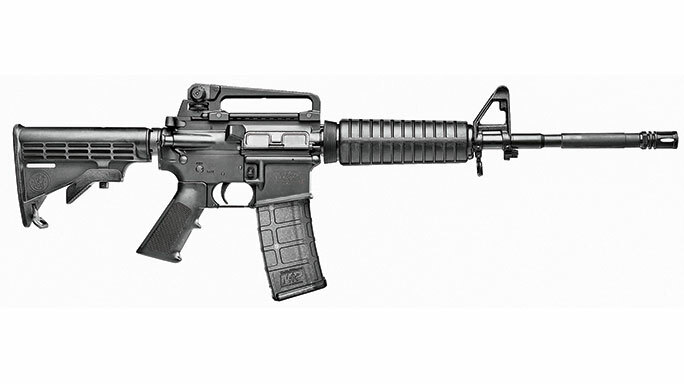 A shooter would be hard pressed to find a better gun value than the M&P15 Sport. 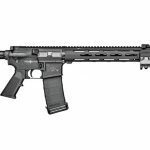 This rifle carries a retail price of only $739, yet it comes ready to run, including sights and a 30-round Magpul PMAG magazine. 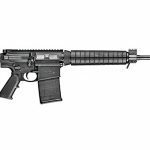 Like its more expensive brothers, the M&P15 Sport is equipped with an adjustable stock, a 4140 steel barrel and 7075-T6 aluminum receivers. Chambered for the 5.56mm cartridge, the 16-inch barrel has a 1-in-9-inch twist rate. An A2-style muzzle device is also standard. Smith & Wesson was able to keep the rifle’s weight under 6.5 pounds, making the gun easier to carry over long distances. In collaboration with Kyle Lamb of Viking Tactics, Smith & Wesson developed the VTAC II. The rifle uses a new flash suppressor design to reduce the flash signature and help tame recoil. 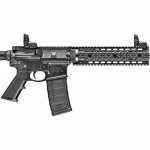 Additionally, the VTAC II uses a mid-length gas system to enhance reliability and further moderate recoil. Up front, a free-floated VTAC rail system is used. The rail comes with a light mount and standard QD attachment points. A black Viking Tactics sling is also included with the gun. 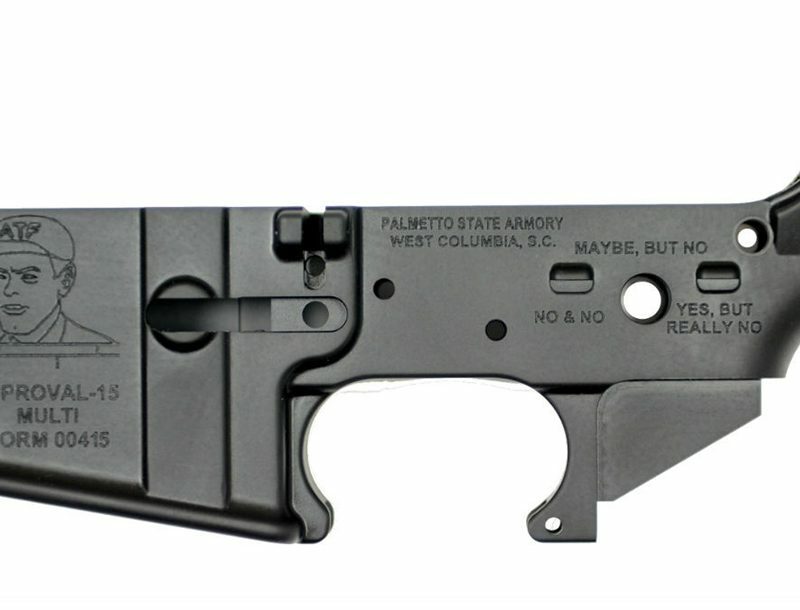 Finally, the rifle is equipped with an adjustable Vltor stock. 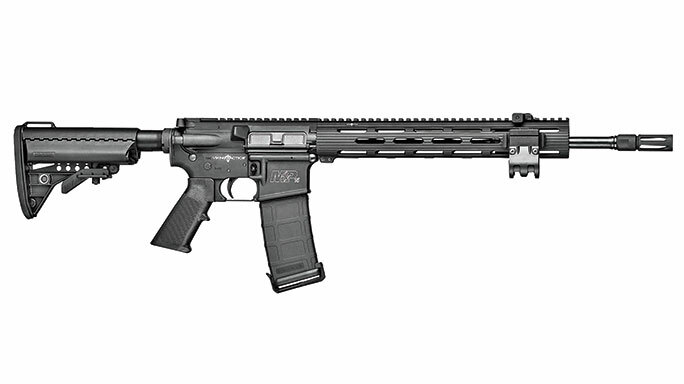 Equipped with some of the more popular Magpul aftermarket accessories, the MOE Mid will satisfy most shooters. Smith & Wesson outfitted this rifle with a mid-length gas system and finished it off with furniture in Flat Dark Earth. 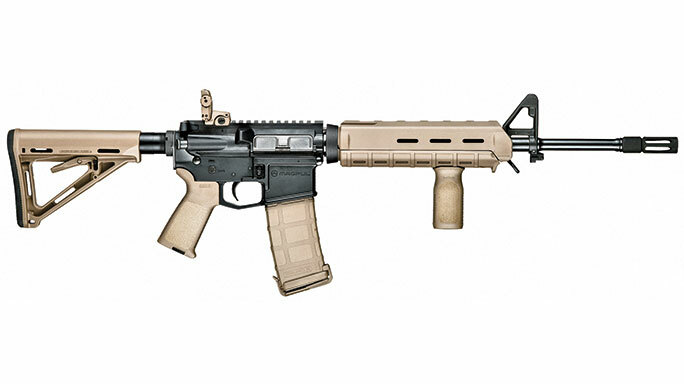 Magpul parts that are standard on this rifle include an MOE adjustable stock, an MOE pistol grip, an MOE handguard, a 30-round PMAG magazine and an MVG vertical grip. An MBUS rear sight complements the A2-style front sight. 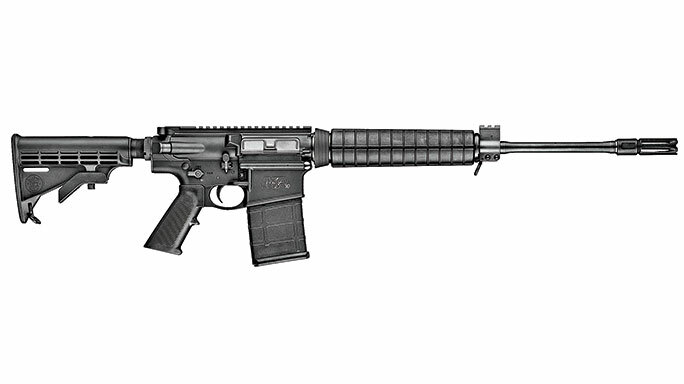 Compact, lightweight and well appointed all describe the M&P15 TS. This rifle uses a 14.5-inch barrel with a 1-in-7-inch twist and a Smith Enterprise Vortex flash suppressor permanently attached to keep the overall length down. 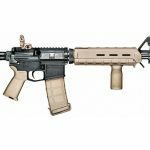 The one-piece, 13-inch Troy TRX Extreme free-floating handguard keeps the package light, yet it still provides the capability for securely adding tactical accessories. Smith & Wesson outfitted this rifle with a Magpul MOE stock, pistol grip and folding MBUS sights. 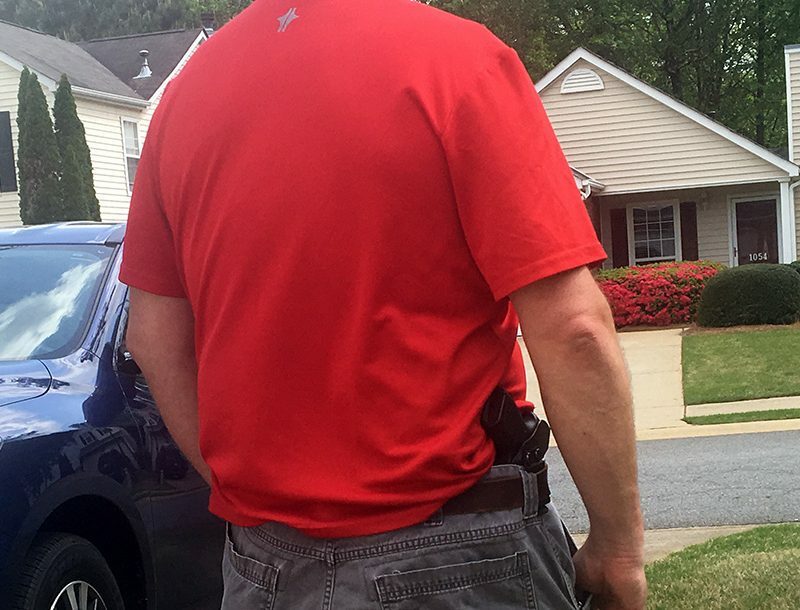 The company also includes one 30-round PMAG magazine. 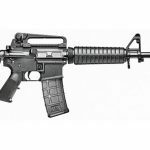 The M&P15T has a 16-inch barrel with a 1-in-8-inch twist rate. 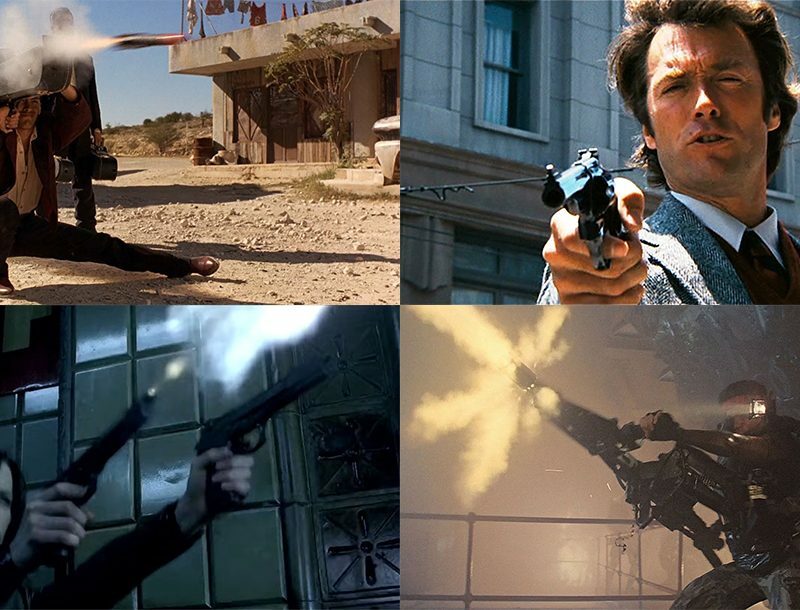 At this rate, most common bullets will be stabilized for accurate fire. Smith & Wesson has fitted the gun with a free-floated, quad-rail handguard. Although thicker than some of the newer KeyMod and M-LOK handguards, the quad-rail makes it very easy to add accessories like the Streamlight TLR-1 HPL. This weapon light is exceptionally bright, providing 775 lumens of illumination, and exceptional reach with 48,000 candela. For anyone carrying this rifle on duty or for personal protection, a white light should be mandatory and the TLR-1 HPL is well suited to this role. 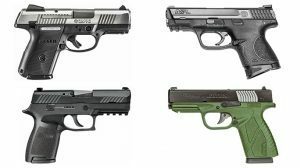 For more information on the M&P series from Smith & Wesson, please visit Smith-Wesson.com.